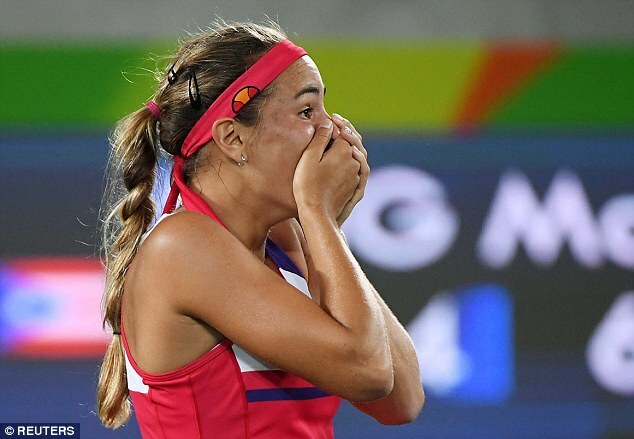 Monica Puig created history as Puerto Rico’s first ever Olympic gold medallist after defeating Angelique Kerber in the women’s singles final. Puig was already guaranteed to be the country’s first female medallist and only the ninth athlete ever from the Caribbean archipelago to stand on the podium. But the 22-year-old, who is ranked 34th in the world, kept her momentum going to win 6-4, 4-6, 6-1 after two hours and nine minutes. Unlike the men’s competition, which has had a number of unexpected medallists since the sport was reintroduced to the Games in 1988, the women’s tournament has been dominated by the big names. 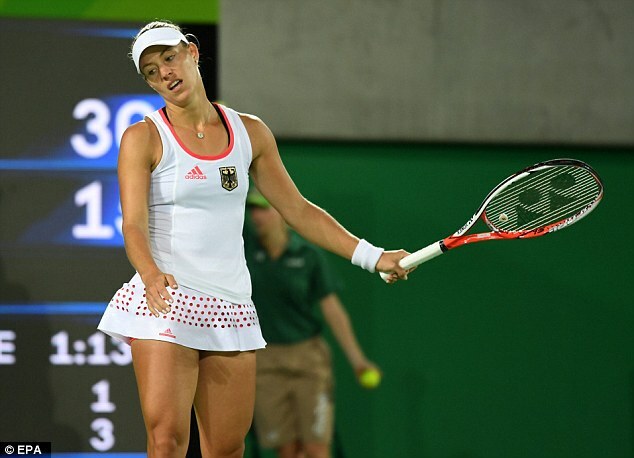 Fifteen of the world’s top 20 were in Rio and it certainly would not have been a surprise if Kerber, the Australian Open champion and world No 2, had walked off with the top prize. But the German’s powers of defence could not match Puig’s aggressive gameplan. Kerber left the court after the first set for treatment to her lower back and looked like she had turned things round when she levelled the match. But Puig was in a class of her own in the decider and overcame some late nerves to clinch victory on her fourth match point. Puig leapt in the air as Puerto Rican fans around the stadium waved their flags jubilantly before collapsing tearfully to the court. Bronze went to Czech Petra Kvitova, who recovered from the disappointment of losing to Puig in the semi-finals to beat American Madison Keys 7-5 2-6 6-2. Kvitova has had a very disappointing season and she burst into tears at the moment of victory. The 26-year-old said: ‘The fact that I have a medal from the Olympics is one of the best things which happened in my career. There will be a fifth Olympic medal, meanwhile, for Venus Williams after the 36-year-old reached the mixed doubles final with Rajeev Ram. Williams, the singles champion in Sydney in 2000 and winner of three doubles golds with sister Serena, made early exits from the singles and women’s doubles but the mixed has provided an unexpected bonus. Williams and Ram defeated India’s Rohan Bopanna and Sania Mirza and will play fellow Americans Jack Sock and Bethanie Mattek-Sands for gold.